The parish of Thorpe St Andrew lies immediately east of the city of Norwich, just across the river Wensum and extending along this valley to its junction with the River Yare. The parish always functioned as a suburb of the city and has now been engulfed within the larger conurbation. 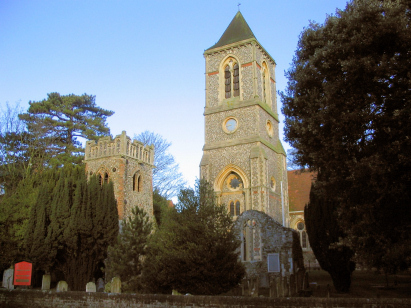 The parish was reduced in 1850 by the creation of the daughter parish of Thorpe Hamlet. 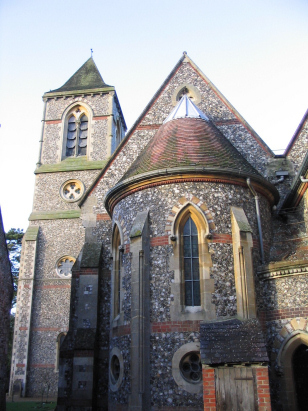 The church of St Andrew's is a Victorian construction being erected in the 1860s to replace an earlier church of the same site. There are remains of the porch tower from the earlier version which indicate a 15th century origin for that building. These records were transcribed from Microfiche 6, 7 and 9 to 12 in the collection of the Norfolk Record Office. Whilst this is an elderly filming the quality was sufficient to be able to see the images reasonably clearly; in places, however, the original register has been subject to considerabloe fading and it was a struggle to make out the entry. In such a large transcript the quality of the clerics' handwriting will obviously vary and as a consequence of some troublesome handwriting not all entries were immediately obvious; furthermore the area was subject to expansion with the coming of the railway and a number of names unfamiliar to Norfolk have made interpretation not always easy. Whilst every effort has been made to produce an accurate transcription, it is accepted that there may be some errors within this transcript.